About Ameri-Cal Corp - Ameri-Cal Corp.
A family company providing value-added pressure sensitive solutions for innovative industry leaders. 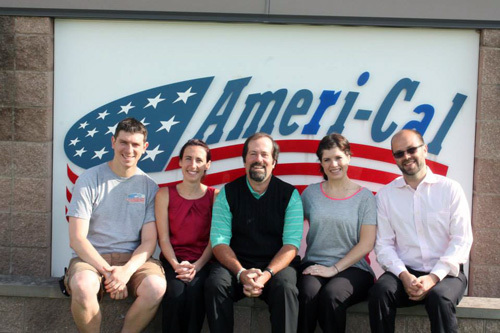 At Ameri-Cal Corporation, we are committed to the needs of our customers, our team and our community. My father began our business in 1968 with a very basic philosophy. His plan was to consistently provide high quality pressure sensitive products that would be delivered to screen printers and label converters in a timely manner. Of course, this was also to be done with top-notch customer service and experienced technical support at a fair market price. Since these were all important attributes of any good company, he tried to determine what else his company could do to set Ameri-Cal apart from its competitors. Based on his extensive sales background, he came up with this simple, yet very effective company policy–“always exceed customer expectations.” The idea was to constantly anticipate what our customers wanted most and then surpass their needs whenever possible. That was the principle that Ameri-Cal was founded on years ago and the standard we will continue to stand by in the future. Learn more about our custom adhesive solutions. Contact us today for more information. Read our Case Studies to learn how we turned problems our customers faced into customized solutions.